Talk about a local institution: Stagecoach West has been performing for more than 45 years. Saturday: 1 p.m., Airway Heights Days at Sunset Park, Lawson Street and Eighth Avenue, Airway Heights. Free. Aug. 24: 7 p.m., Eagles Lodge, 16801 E. Sprague Ave., Spokane Valley. $6. Stagecoach West is truly a Spokane staple. The band has been performing in the area since 1972. 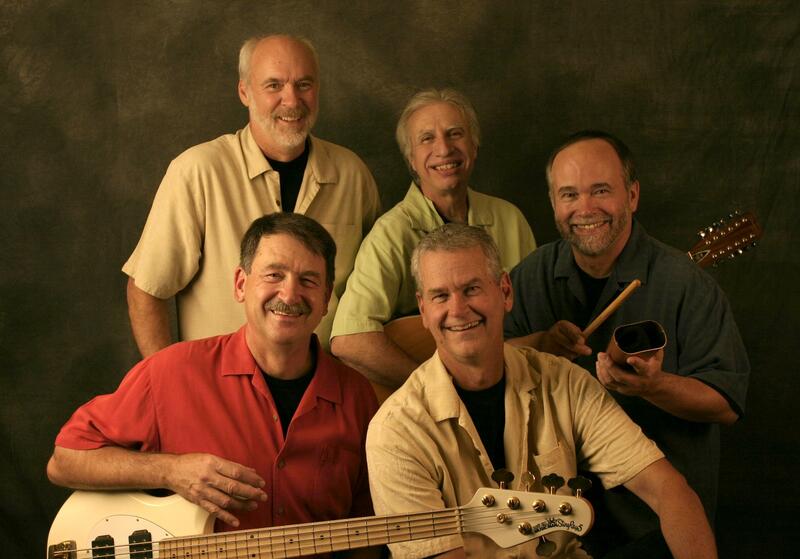 Original members Peter Arthur and Jim Braukmann met at Gonzaga in 1967 and joined with John Keogh and Bob Barzee to form the band five years later. The band’s lineup includes Braukmann (bass and vocals), Arthur (vocals, guitar, drums), John Mattresse (guitar and vocals), Randy Albright (keyboard and vocals) and Rick Westrick (drums). Stagecoach West also performs as alter ego Sharky and the Fins, and as Serenade, depending on how they want to modify their set list and image to appeal to particular audiences. Arthur talked with The Spokesman-Review about the joy he gets from performing with friends and what it takes to keep a band together for the long haul. Q. How would you describe your sound? A. I would say we’ve always just played a huge variety of music, and it’s all just songs that we enjoy. We always have a different set list for every show. Depending on our audience, we’ll just throw a variety out. If we get more response in one particular direction then we’ll start doing more of those kinds of things. Q. Do you perform mostly covers or do you write original songs as well? A. We’ve always just done covers. We are probably the classic garage band of all time in this area. We’re a party, dance band. We’ve just always played songs that people can recognize and get up and dance to. Q. What styles of music/musical artists do you take inspiration from? A. I’m not sure we have enough time for me to answer that. We do everything from Louis Armstrong’s “What a Wonderful World” to Merle Haggard’s “Silver Wings” to old Elvis tunes, to Beach Boys songs, to some standards: “Fly Me to the Moon,” some of the punk rock from the ’70s and early ’80s. Q. What would be your dream venue to play? A. We’ve played at the Coliseum, we’ve played at the Arena, we’ve played at Northern Quest, we’ve played at the Coeur d’Alene Casino, we’ve played at the Fox. In fact, we were the first band to ever play in the Arena. There was a really cool soft opening; it was a big party for everybody that worked on Veterans Arena 25 years ago. I don’t think there’s too many places left that we haven’t played or that we want to play. We just really have a good time together, and it doesn’t matter where we’re playing. Q. What are the biggest challenges and biggest rewards of playing music? A. The biggest challenge as musicians is just staying together as a band. … We’ve never had a band leader; we’ve always done everything by consensus. We’re just really good friends. We’ve seen really good bands come and go throughout the decades. We survived the Disco era; We survived the DJ thing, all of that because we’ve worked really hard at having fun with it and staying as friends. We practice; we rehearse a lot, which still pays dividends. The biggest reward for us is just watching people, even at our concerts, and just getting people up to dance … We’ve done hundreds of weddings over the years and to see the younger people that are in their teens and 20s… We start some old Beach Boys song or some other tune from the ’60s and the kids all know the words because grandma taught it to them and then mom taught it to them and they’ve all danced to these songs. So that’s the biggest reward, is just getting people up dancing, big smiles and having a good time. Q. What are your favorite songs to perform or which songs appear to be crowd favorites? A. I was born and raised in the Hawaiian Islands, and so we’ve kind of merged a version of “Somewhere Over the Rainbow” with the original Judy Garland lyrics but doing it in the Brother Iz (Israel Kamakawiwo‘ole) style. We use a ukulele and people just seem to smile … Another that’s been going over really well lately is “Wagon Wheel,” the Darius Rucker song. And then, we’ve got some classics: “Twist and Shout,” some old Johnny Cash stuff and people just get up and dance like crazy to it. Q. What advice do you have for any other locals who might be interested in pursuing music or starting a band? A. Just take any venue, any gig you can get. Every musician does this, but at the beginning you just play for free and you play in people’s backyards and you play at your church or you play for venues that can’t pay you … Practice, practice, practice. Even at this stage in our careers, we practice individually and then we practice as a group often. And then, just be careful of alcohol and drugs. I’ve seen so many bands break up over alcohol. It’s really easy to get caught up in that whole scene and we’ve always been really careful about that, which is again one of the reasons that we’re still together. So, just practice hard and make sure it’s fun; it’s got to be fun. We still have a lot of fun when we play.